From Nov. 17 through Dec. 5, Royer’s stores will collect holiday cards and coloring pages that will be delivered to patients at the Lebanon VA Medical Center. Red Cross volunteers will organize the cards and tie them with ribbons for hand delivery to the veterans. Cards may be dropped off during normal business hours. 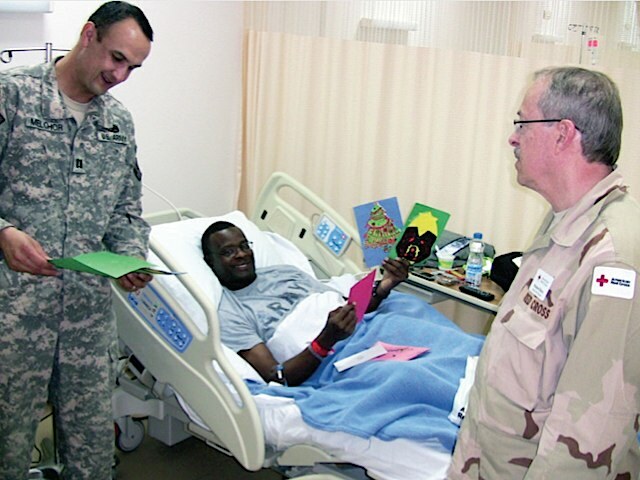 • Refrain from choosing cards with glitter as it can aggravate health issues of ill and injured warriors.